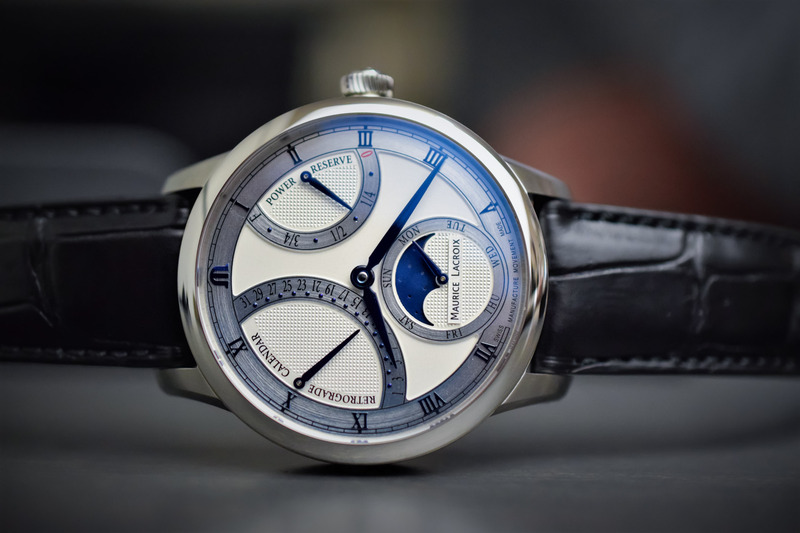 An original complication playing with gravity and the mercurial nature of time. 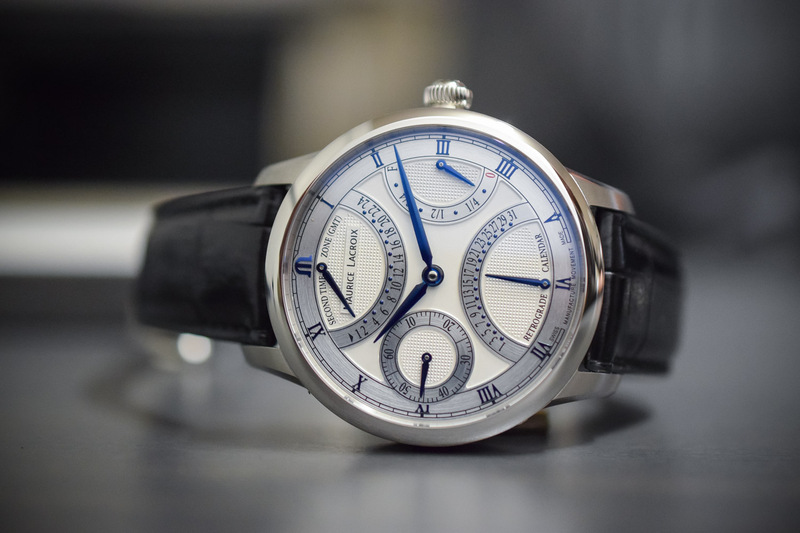 With its Masterpiece collection, Maurice Lacroix delved into the world of unconventional complications featured on watches like the Gravity or the Roue Carrée (squared-wheel), as well as models with retrograde indications, mysterious seconds, etc. The brand is now infusing this unconventional spirit into its successful Aikon sports collection. The new Aikon Mercury proposes a highly original display, where the hands don’t always indicate the time. At first glance, the Aikon Mercury seems to be a ‘simple’ three-hander but there is more than meets the eye here. 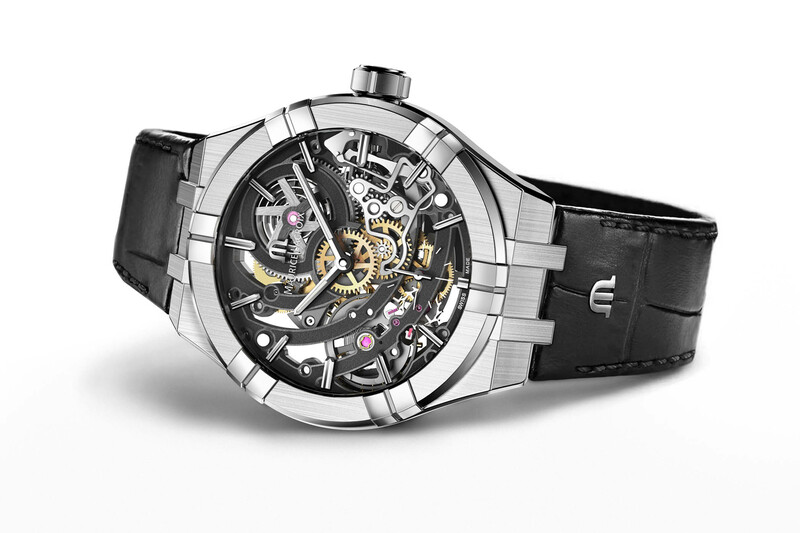 Its mechanism incorporates a module designed to respond to the motions of the wrist. Manipulating the watch, the hour and minute hands spin freely, abandoning their chronometric duty. However, when the watch is held upright (more precisely at a certain angle) the hands move back to their proper position and display the correct time. The Aikon Mercury is powered by the calibre ML225 with a patented complication module that has been developed and produced in-house (the base calibre is the tried-and-tested Sellita SW200). It took three years to perfect the mechanism that is based on a double snail-cam system. The first cam, for the hours, rotates once every 12 hours. The second one, for the minutes, once every hour. When the watch is held upright, gravity pulls down two weighted levers acting as feeler-spindlers to read the time on the cams… The hands follow a mercurial pattern before falling to gravity! 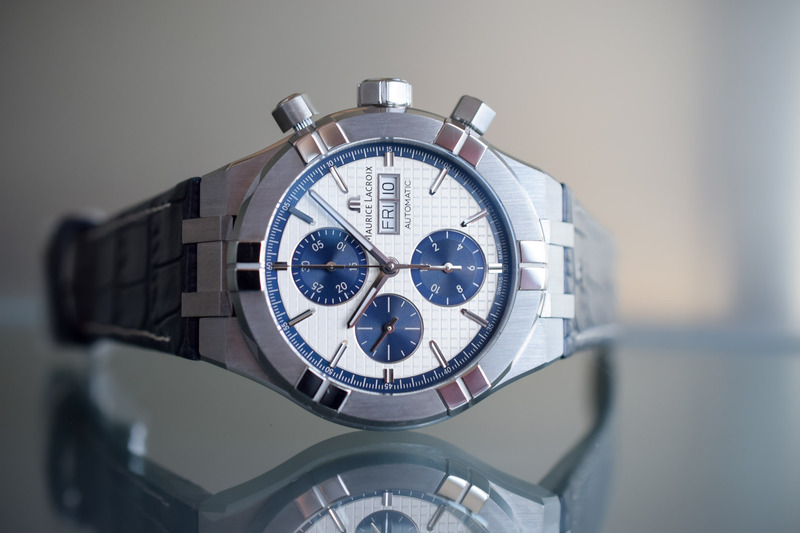 Presented in 2016, the Aikon is the modern revival of the Calypso, a model from the 1990s – for more information, take a look at our video about the collection here. 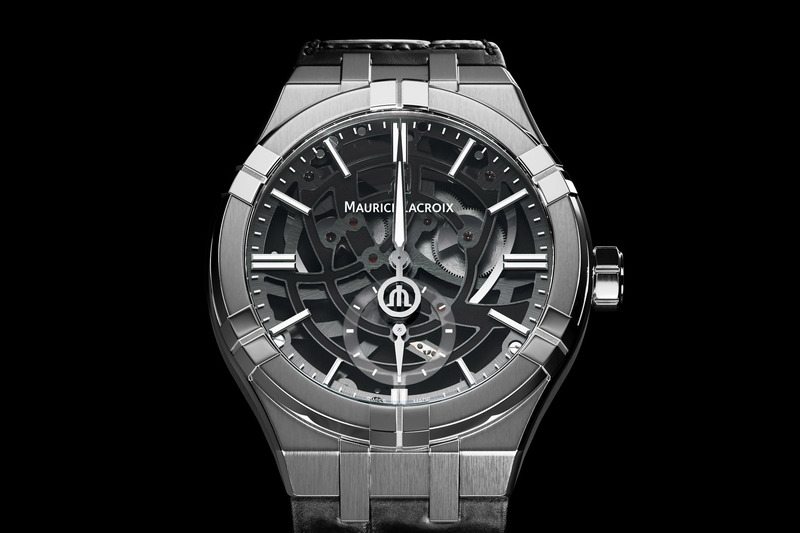 Its urban design is reinforced by the integrated bracelet and its sporty, angular case with six claws framing its bezel. While most Aikon watches feature textured dials, the Mercury comes with a sapphire dial offering an unimpeded view on its darkened skeleton mechanism. The hours and minutes hands are dauphine style and their counterweights form the brand logo when these are superimposed. The small seconds is displayed at 6 o’clock. 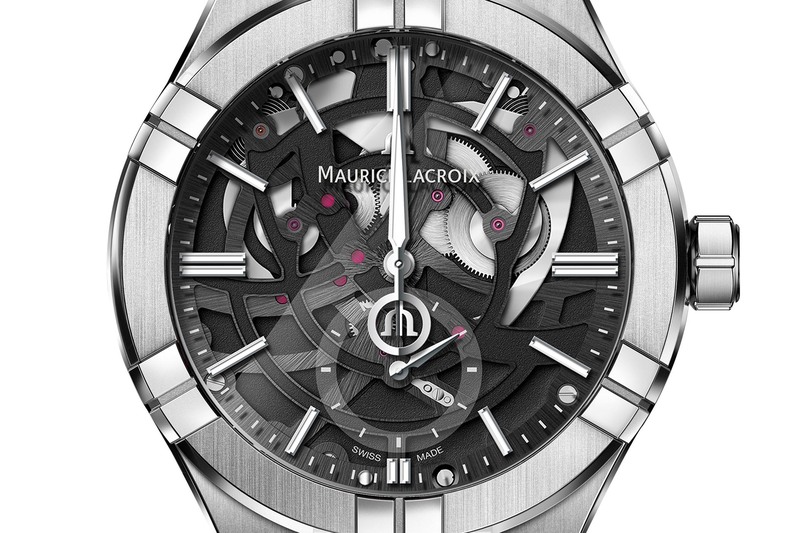 The 44mm case is fashioned out of stainless steel with a striking interplay of polished and matte surfaces. It is water-resistant to 100m. 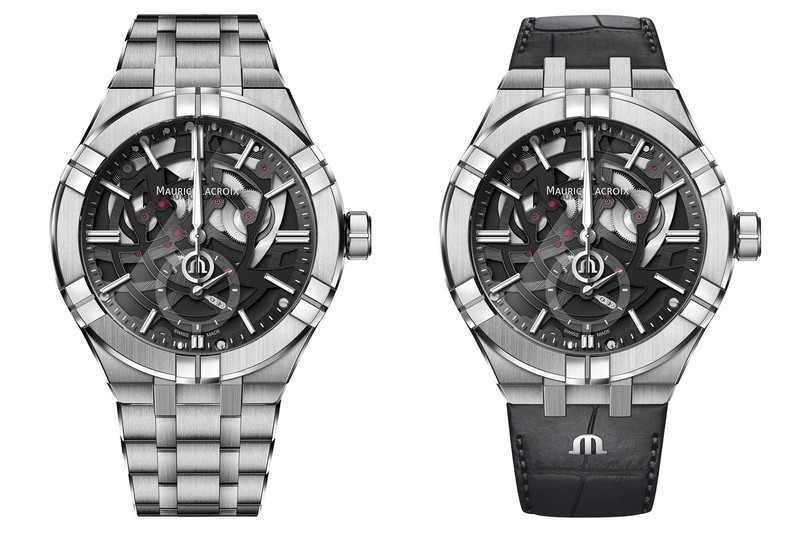 The Aikon Mercury comes with a steel 5-link bracelet and an alligator strap with the Maurice Lacroix M logo. 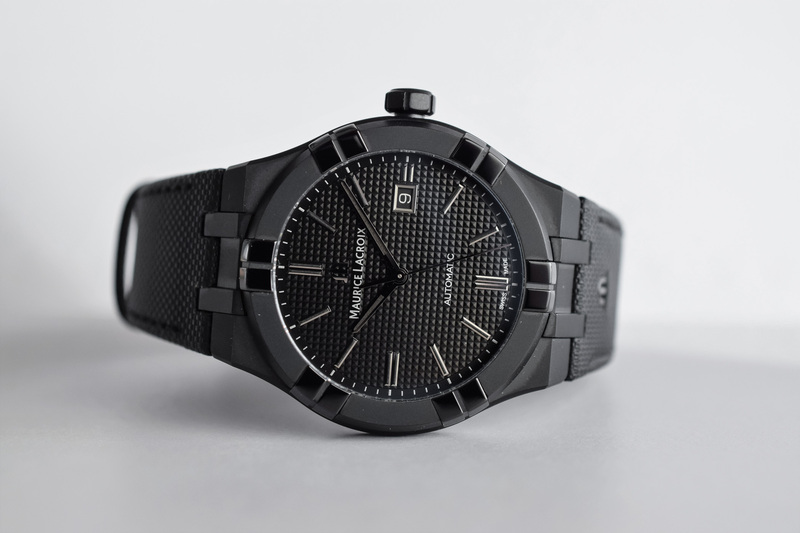 Like all Aikon watches, they feature the brand’s practical easy-change system allowing you to change the strap/bracelet and the personality of your watch in seconds – with no tool required. The Maurice Lacroix Mercury derives its name from the whimsical motion of its hands, making reference to the quick-silver fluidity of time. Somehow, it takes the brand’s tagline “your time is now” to a whole new dimension, disregarding the utilitarian function of the watch until you need it. 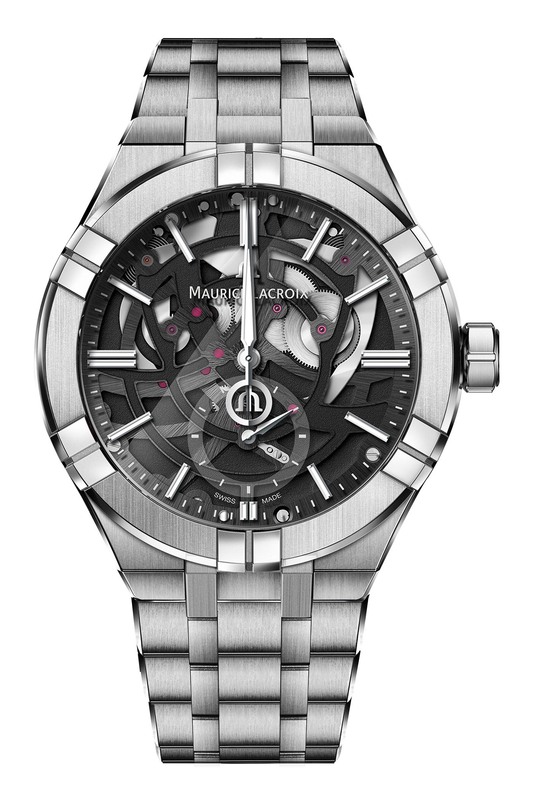 The price of this poetic and technically sophisticated watch is set at CHF 7,500. More details on www.mauricelacroix.com.